Daisy Blackwell Hutton is a native Mississippian and a graduate of Ole Miss, where she earned her B.A. in French and English Literature. She also holds an M.A. in Comparative Literature from Washington University in St. Louis. Daisy has worked in the publishing industry for almost 20 years, beginning her career at the Georges Borchardt Agency in New York and subsequently spending time at The Perseus Book Group and Harvard Business School Press in Boston. 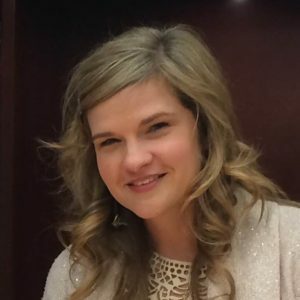 She joined Thomas Nelson in 2008 as VP of Licensing and served in that role until 2012 when she became Fiction Publisher under the newly formed HarperCollins Christian Publishing. Daisy was recently promoted to Publisher at W Publishing, one of three nonfiction imprints under HCCP. She lives in Nashville with her husband, Matt, and their two sons, Leo (12) and Silas (9).